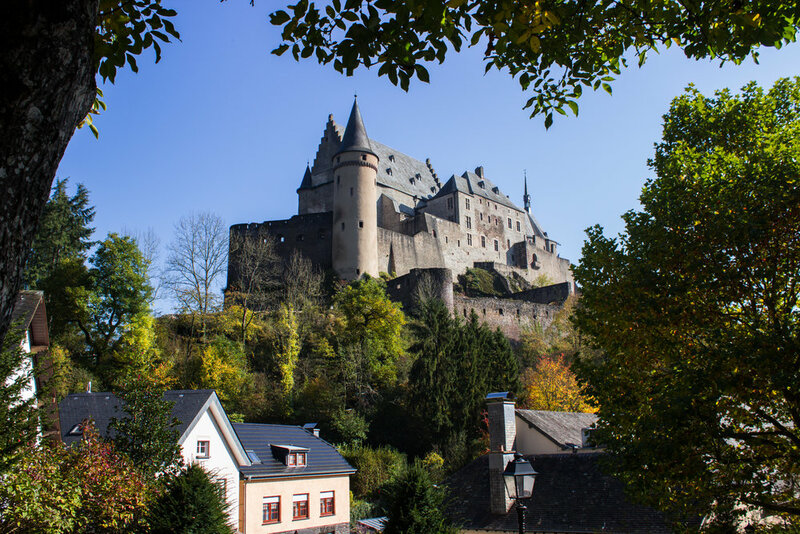 Vianden is a fairytale like village with a restored medieval castle about 1.5h drive away from Luxembourg City. Get there by train (or replacement bus in our case) from Luxembourg Gare station to Ettelbruck and from there change to bus 570. Nobody ever asked us for tickets however we did have the Luxembourg card which includes free transport around the country. 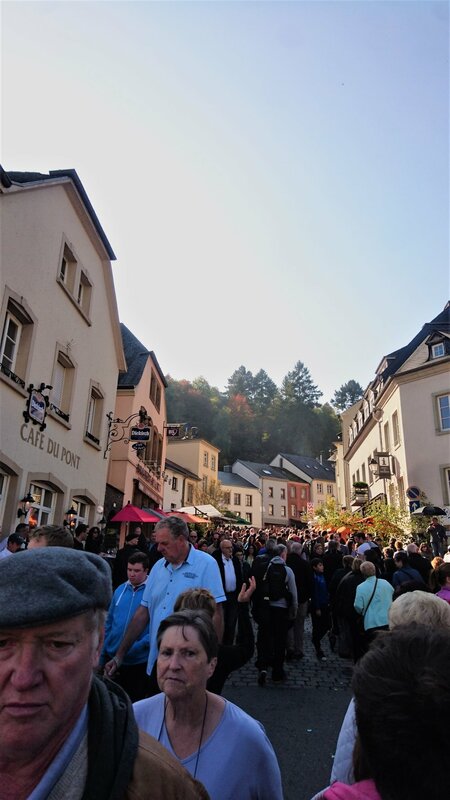 We were quite lucky with our timing in Vianden as we ended up there that one day a year when seemingly the whole of Luxembourg heads there to celebrate the Nut Market, locally known as Veiner Nëssmoort (held annually on a Sunday mid-October) which means crowds and all kinds of traditional nutty foods and drinks. 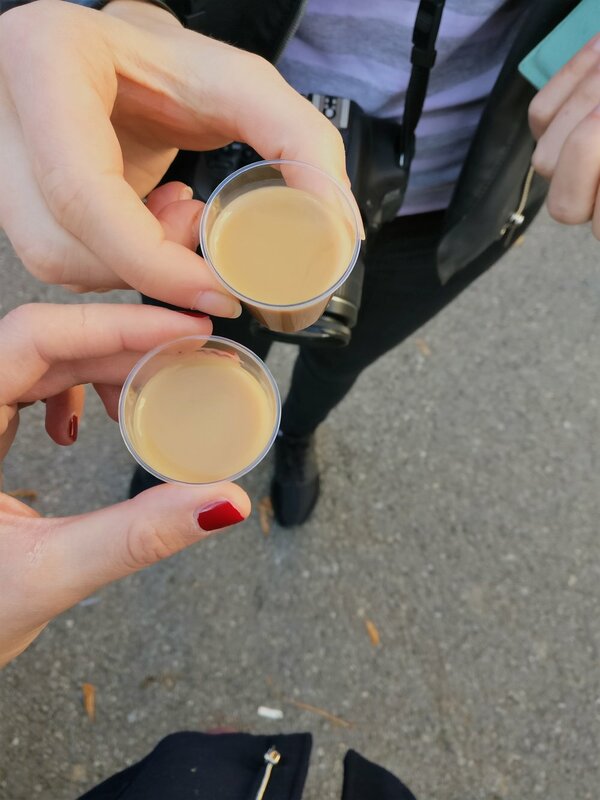 We tried Nëssdrëpp or Nut-schnapps and other liquors and we did approve of them all. Also, to our luck, the Vianden castle was almost empty despite the amount of people in the city that day as everyone was busy with the festivities. 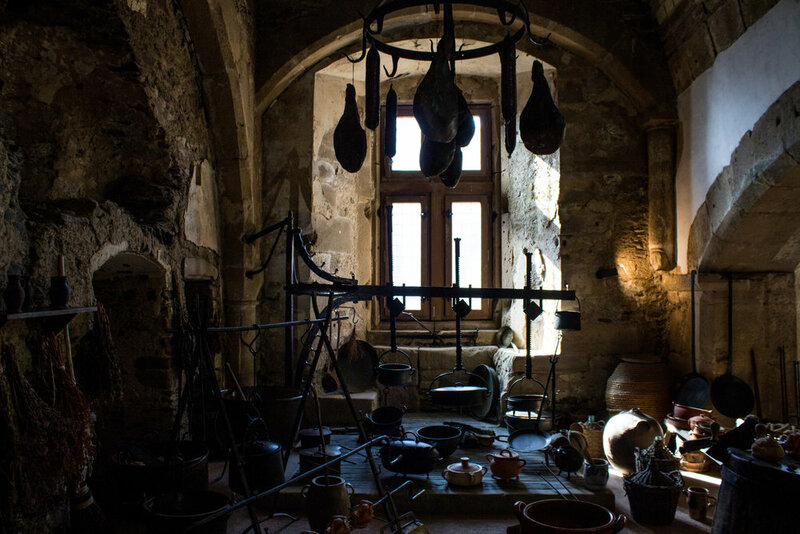 Constructed from 11th to 14th centuries on foundations of a Roman fort, Vianden Castle is one of the most beautiful feudal residences in Europe from romanesque and gothic periods. It was sold piece by piece and neglected for a long time but has been restored to its former glory when transferred to State’s ownership in 1977. 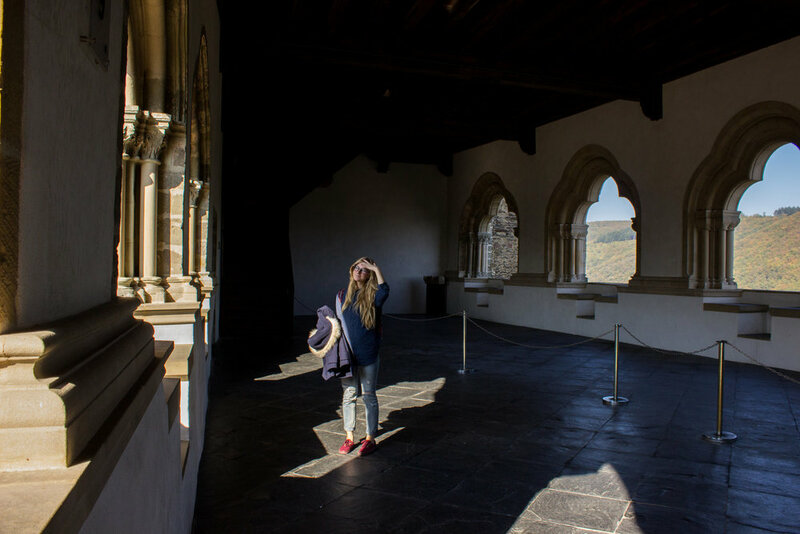 It is also featured in movies such as Shadow of the Vampire with John Malkovich, Sherlock Holmes with Christopher Lee and George and The Dragon with Patrick Swayze. 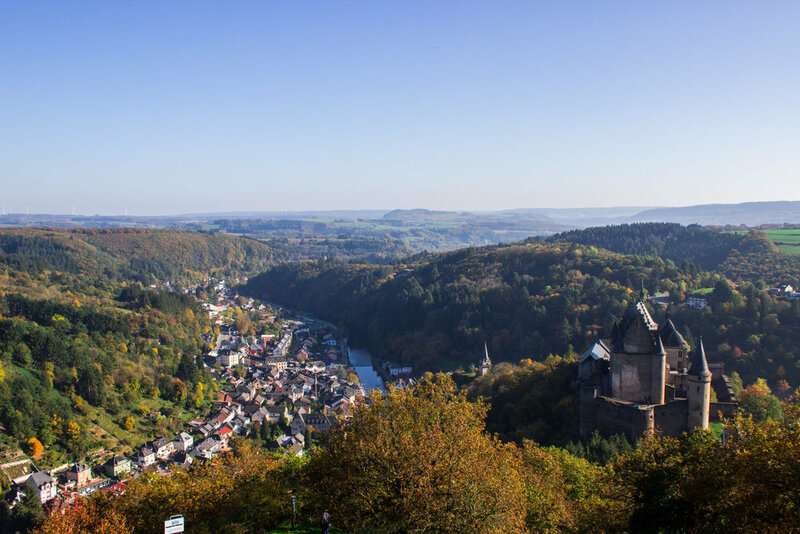 Vianden’s other claim to fame is Victor Hugo who lived here for a short while. The house he lived in is now naturally a museum which unfortunately we didn’t manage to visit this time around due to all the excitement about nuts. 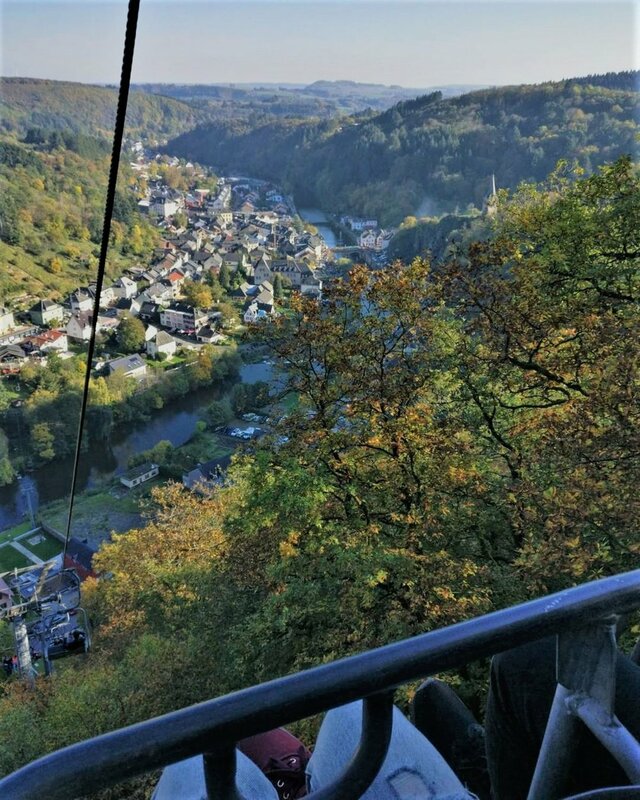 Finally, it is well worth queuing up for the Chairlift (free with Luxembourg card), which goes up to the height of 440 metres, to take in the stunning views of Vianden from the top.